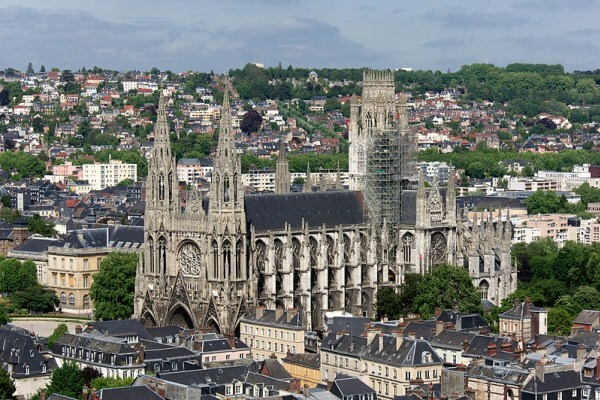 Rouen, also called the city of the hundred steeples, is the city in which Joan of Arc was condemned and burnt at the stake. A church bears her name, the church of Saint Joan of Arc. It is located on the Place du Vieux Marche, where her stake was erected. 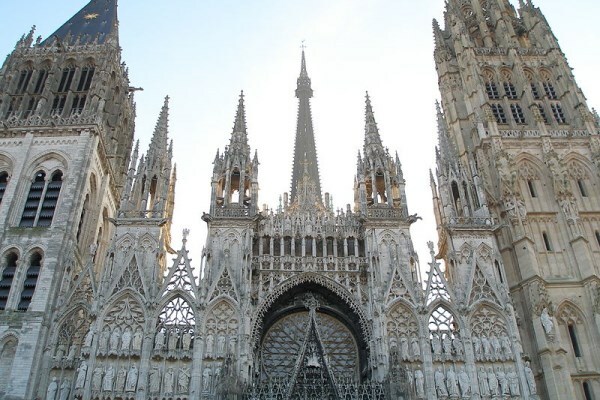 The cathedral of Our Lady of Rouen is the most prestigious monument of the city, with a steel spire rising to 151 metres, the highest in France. The Gros Horloge is an arch dating from the Renaissance, straddling one of the busiest pedestrian streets of Rouen. 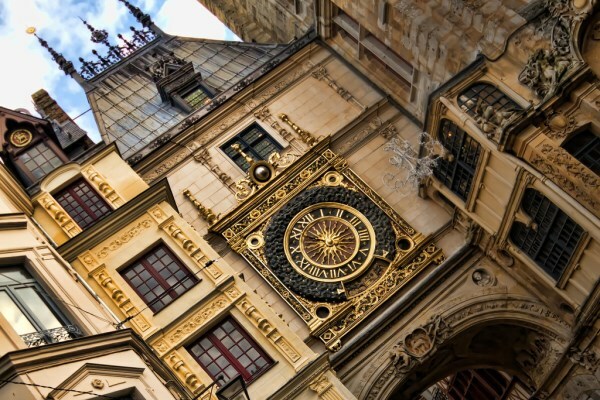 It has a 14th-century astronomical clock. 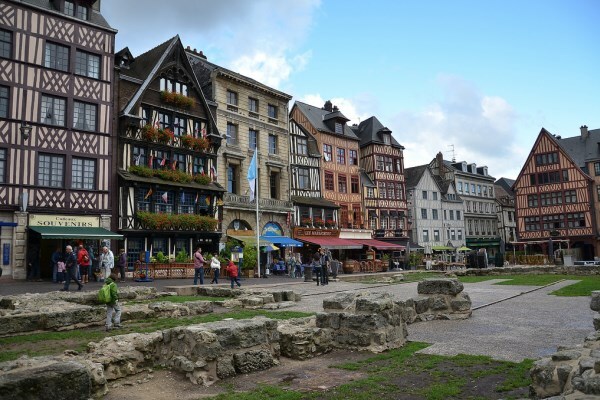 Rouen was already occupied during prehistory; it used to be Gaul's second major city during the ancient times. And during the Middle Ages, it was the capital of Normandy. Notre-Dame cathedral was an inspiration to painter Monet. The other monuments are also worth seeing, like Saint-Ouen abbey, the Court House, or old traditional houses. 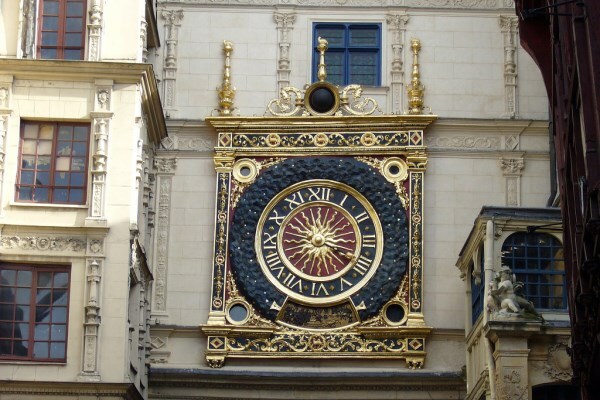 The Great-Clock ("Gros Horloge" in French) is a main symbol of Rouen. 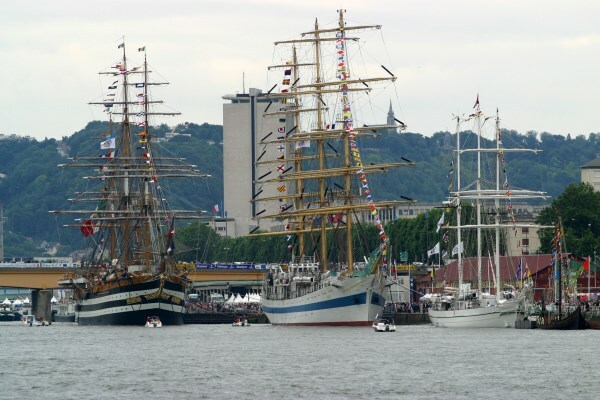 Here are some cultural events, among a long list taking place in the town: the "Regards sur le cinéma du monde de Rouen" festival in January; the Armada, the meeting of sailing vessels and warships, the next session will be organized in 2019; lastly, Saint-Romain fair, a huge funfair which takes place every year during autumn. Rouen has an ocean climate, with a precipitation rate equally spread over the whole year. Average temperatures are 3.8°C in January, and 17.8°C in July. Go on and stroll around the paved pedestrian centre of town! It is full of surprises! The Place de la Cathédrale ("cathedral square") is the perfect place to sip a drink and relax after a long day of visits. Low budget: 38€ per night in low season, and 64€ in high season. Mid-range: 79€ per night in low season, and 82€ in high season. Luxury: 176€ per night in low season, and 185€ in high season. The railway station area is convenient for those who don't want to walk around town with their luggage. The Seine River banks make a beautiful setting to contemplate from your hotel room's window. The pedestrian centre of the city is perfect if you like wandering around in the evening.